sorry I haven't written for a long time, but starting university has been tough, but I'm going to try and write something every week maybe friday because thats my day off yaya!!. So i'm doing Creative Writing at Uni and its amazing. i've actually got my second seminar in an hour. I'm learning all about the characters and how you make them more "rounded" but for now give me a break i'm just going to write my agsty fiction still. I was bored in a late lecture on Tuesday and my mind wondered off to" Supernatural" and if anyone hasn't seen the series start watching I may be a little bit obsessed. Sam and Dean God they are amazing!! Anyway this is what I wrote. I wanted to put it on here rather than fanfiction because I don't know where its going and obviously its just an extract. Dean lay on the floor of the old deserted warehouse tears streaming down his face as he held his brother in his lap. 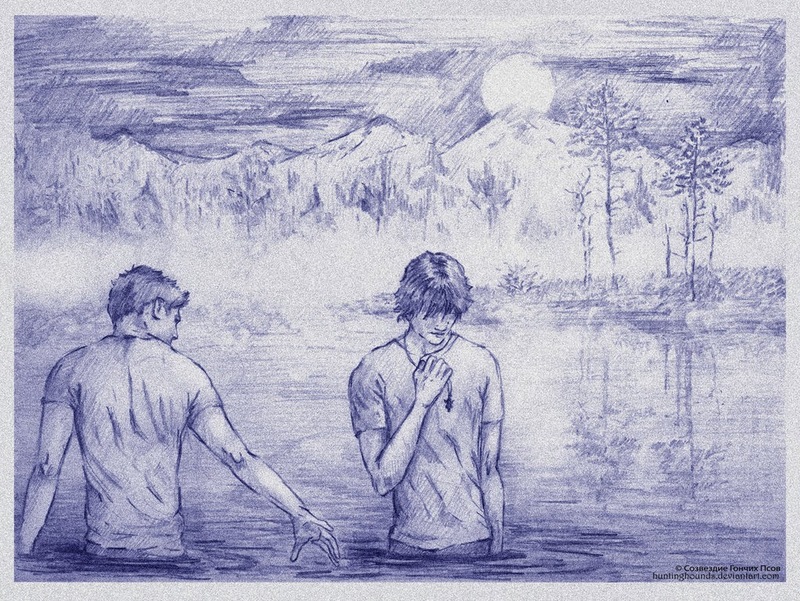 After all they had been through this was the end, and it all Dean's fault. God hadnt played a part, the angels hadn't forced his brothers hand, this was all Dean. He was the one that pushed his brother into closing the gates of hell and now he had lost the most precious possession in the world, Sam Winchester, Dean's only family left. Sammy was gone forever and he had made Dean promise not to find the loop hole to leave him at peace. Death himself had granted Sam his wish, he wast leaving the gates of heaven this time.